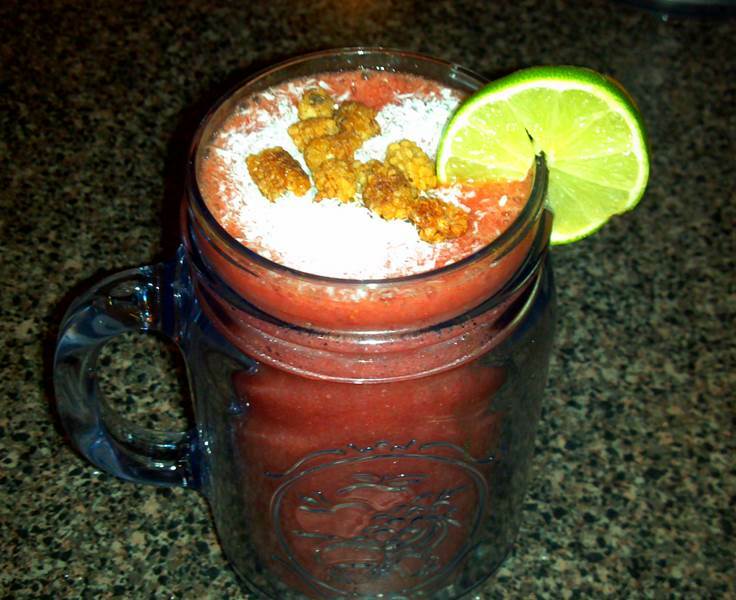 This is an uber delicious smoothie and one of my very favorites! It is especially grand when you have fresh basil growing out on the patio and you can just snip some leaves off your plant! The taste and smell is amazing! Blend all the ingredients in high powered blender until smooth and creamy. 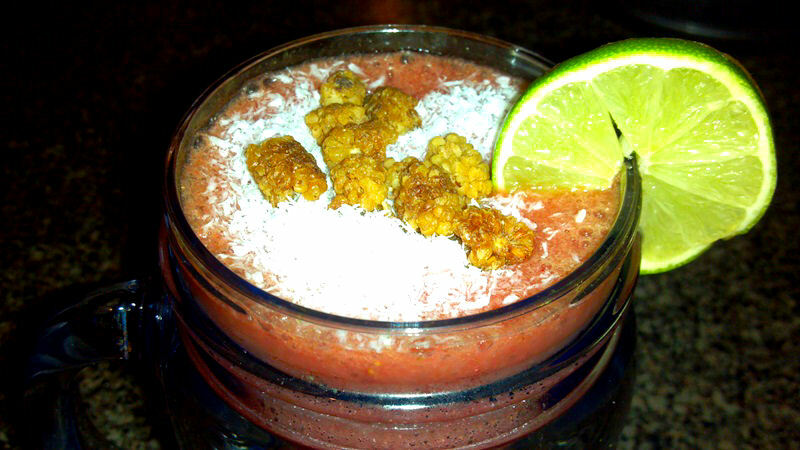 Top with coconut and mulberries and…drink up!